Compelling Commentary, Food for Thought, and much more! ​We’ve all been asked to touch our toes at some point in our lives. Whether it was our doctor assessing us, a yoga instructor leading us into a pose, or during a fitness test from high school gym class, we’ve all been there. At the same time, we probably all know someone who cannot touch their toes. Perhaps they’re always stiff because they’re inactive and sit a lot. If we sit in a position that keeps muscles or joints in certain positions, it’s tough to expect that the tissues will be ready and available to perform on cue when asked. But what about those people who are always active but still cannot touch their toes? According to a quick Google search, depending on the source, approximately 38-53% of adults cannot touch their toes. If you ask those people why they cannot touch their toes, you’ll often hear the rationales “my hamstrings are tight”, “I have short arms”, “ it’s genetic”, “it’s my age”, “that’s just the way I’m built”, the list goes on and on. But seriously, what do all of these people have in common that prevents them from touching their toes? You’d be surprised to find that there is NO ONE FACTOR that exists that prevents all these people from touching their toes. But there may be a collection of reasons that can partially or fully contribute to not being able to touch your toes. The key concept when it comes to movement capabilities comes from Dr. Andreo Spina and the team at Functional Range Systems. What are the joint prerequisites for a specific movement? And does the individual have these prerequisites? So for someone to bend forward and touch their toes, what are the joint prerequisites? Well starting “at the top”, the individual will require to flex their spine, which we observe when their mid- and low-back start to round. Similarly, they’ll require adequate hip flexion. The knees should be kept straight in this model and there will be very little movement at the ankles as well. Of course this blog will assume that there are no issues with the upper limbs i.e. the shoulder flexion that is required. So from a joint perspective, we can see that here that there are many sources of potential limitation(s). Someone may lack the ability to flex the lumbar spine. Is this due to surgical hardware in their back? Are they hyperlordotic? What is causing this? Do they lack the inability to flex their spine due to a medical condition (i.e. Anklyosing Spondylitis)? Or do they simply lack the ability to segmentally flex their lumbar spine, another key concept from Functional Range Systems. Of course since we mentioned that the ability to flex at the hip is essential, is something preventing that from happening? Osseous blocking? Pinching in the anterior hip crease? Tight posterior hip elements? There can be many scenarios occurring in and around the spine and hips that can contribute to limitations. Now we’ve just talked about the ‘joint prerequisites’ required but let’s not forget about the ‘tissue requirements’ as well. Since we fold forward when we touch our toes, it creates a pull or a stretch on the posterior elements involved. The tensile ability of these tissues is a huge contributor to achieving the desired toe-touch. People are familiar with the need for pliable hamstrings but there are many other tissues that are often neglected when it comes to this conversation. Aside from hamstrings, there needs to be a lengthening of the spinal erectors, psoas, glutes, and even the calves! When there is muscle tension that prevents muscle lengthening it can create undesirable tension on surrounding nerves as well! This is actually the cause for the pulling sensation behind the knee that people experience when folding forward. It’s in your best interest to avoid this sensation and scenario! Now if you can’t touch your toes perhaps this blog gives you some insight into where to start in your search for the key piece. If you have any pain, I encourage you to seek out a qualified health care practitioner who will work with you to achieve your goals! Have you every played any kind of sport and been exposed to the repetitive strain of that sport? Have you ever experienced any kind of trauma from your sport? What do you do or have you done for work? Do you sit at a desk all day? Do work a trade and find yourself in the same awkward position throughout your daily tasks? Are you active? If so, is it a variety of things are do you always run (repetitive strain)? These are just few questions that many of you reading this will be able to relate to and if you can, you likely fall in the category of pre-existing injury or restrictive conditions. If this is the case then you are in a state that requires repair to your previous healthy condition. This is not to say that you are not a healthy person, but in an ideal training environment the goal should be to perform full range of motion exercises without risking re-injury or even worse, compounding a current injury. This leads us to the very important question: How can we achieve a healthy training state with recovery and injury prevention as the priority? The first step is to be self-aware and recognize what’s going on physically with your body. For some this is easy. For example you grew up playing hockey and the repetitive strain on your hips from skating has caused you to have tightness and reduced range of motion or perhaps even pain. Maybe this affects your low back, which in turn hinders your ability to pick things up without experiencing discomfort. This again is an example of someone who would find it easy to identify the problem. A less obvious example might come from someone who has worked a desk job for the last 10 years and overall you feel “fine”. In reality you cannot achieve full range of motion in the squat. Since you don’t experience pain you think that’s just normal for you. The truth is that for this particular example you should consider yourself to be in a state of rehab to restore your previous full range of motion, even if you haven’t seen this range of motion since you were a teenager. To provide a point of reference, US statistics have shown upwards of 7 million sports and recreation related injuries on an annual basis (Conn et al., 2003). If we look at ergonomic and workplace related injuries, according to Statistics Canada there are easily more then half a million workplace injuries reported annually. This doesn’t include the issues that people experience from sitting at a desk all day and other repetitive strain injuries that are not recognized because employees are not taking time away from work due to these injuries. If you are experiencing pain on a daily basis or during specific activities consult with a health care practitioner (chiropractor, physiotherapist, massage therapist, etc.). They will identify the problem and provide treatment to reduce and eliminate pain. Often they will provide rehabilitative exercises which can be done at home or outside of the clinic. From this point the onus falls on the individual to stay motivated and carry out these exercises. It is far too common for people to think that pain is the norm for you based your your history. Don’t let that be you! Let’s say you are overall healthy with no history of injury. One of the best things you can do is find an exercise professional who can provide you with a full body movement assessment and identify any deficiencies. If done properly this will lead to an effective plan to rehab to your previous healthy state. Let’s shift gears to being pain free. This could be post-treatment or this could be someone who never experienced pain but does have restrictions in range of motion. Where should you go from here? The most common thing we see in training is that people go from rehab straight to performance. In this case we’ll consider performance to be your regular training routine. This is when re-injury or restriction become far too common. Often, we see or better yet, we hear people training with restriction and saying something like “I can’t do that and I’ll never be able to again because ‘X’ body part is too tight or gets sore when I move that way”. It’s time to change your mindset! The correct answer is to address the hole in our approach to rehab and training. We need to bridge the gap! What does it mean to bridge the gap? Devise a plan of what you CAN do in your training. These would be movements that do not present any contraindications to the injuries or restrictions that you are working through. Second, establish which movements you want to keep in your training that may require specific modifications. Make sure to know exactly what movements should not be performed at this stage to ensure no re-injury. There are several critical factors to bridging the gap: keep movements pain free, work to increase functional range, build structural integrity through strength and stability, and create symmetry. This is where an exercise professional with knowledge of human anatomy, biomechanics, and physiology should guide you through this process. Any movement that you choose to do in training should be pain free. You will find yourself testing the waters at times to know how far along you are from rehab to performance. In order to do this you are working near your threshold and your body is going to give you feedback, so you need to listen. It is not okay to train through pain. Spend time using the various tools that exist to increase your range of motion and your functionality for training and every day life. Examples include mobility programming that promotes active range control, flexibility programming to help increase your passive range, and soft tissue release. The latter can come from manual therapy or it can be self-guided using tools like bands, lacrosse balls, and other equipment at your gym. Each element has its place. The time you spend on increasing range of motion will partially depend on your restrictions, however it is important not to consume all of your exercise time with this. An effective program addresses your needs in a reasonable amount of time and creates balance among programming elements. This is relevant for the recreational exerciser who likely doesn’t want to spend hours every day on these things and the elite athlete who needs to focus on sport specific training. This list is not exhaustive and can serve as a starting point for strength and stability. What’s great about these exercises if programmed properly they can be used to increase strength on your compound lifts even if you’re not specifically training those lifts. 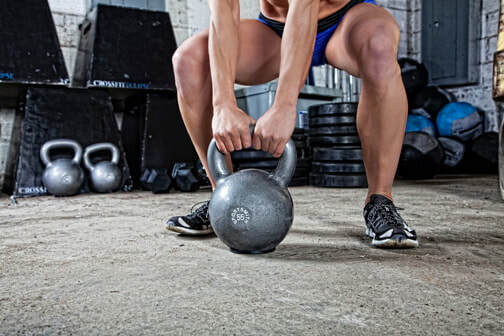 So, focus on these movements and slowly implement the compound movements like squatting, deadlifting and pressing when your body is ready (no pain, proper range of motion, and unilateral joint stability). If correctly programmed and implemented with intent, the above information will serve as a framework for the bridge from rehab to performance. This is the basic formula to successful training with injury prevention at the forefront. Intermittent Fasting-Good, Bad, or Just a Fad? If you’re unfamiliar with ‘Intermittent Fasting’, there’s no clear definition but simply put it’s a term for cycling your diet between periods of fasting and non-fasting. The key is that this is all occurring withoutmalnutrition. This may sound similar to how you normally eat; however you’ll see how it may differ from what you do on a daily basis. As with many aspects of nutrition, there are many debates, myths, and controversies. Intermittent fasting is not immune to these! But for the purpose of this article, we’ll just focus on the basic overview of intermittent fasting. With intermittent fasting there is a designated period where you can eat and the rest of the time in the day is reserved for fasting. Within a 24-hour period, you are in one phase or the other; you do not continuously go back-and-forth between the two. There are many forms of intermittent fasting. A common form is fasting for 15-16 hours straight and then allowing yourself an 8-9 hour window to eat all the days’ meals. This is a nice amount of time to get you in a true fasted state however, short enough to avoid putting your body into the proposed “starvation mode”. If this sounds difficult, a common tip is using your sleeping hours (i.e. 8 hours) to contribute to this fasting window. This may not be where a beginner would start though; perhaps a smaller fasting window is the place to start. For some, they will take it further by altering their “windows” to allow for greater time in the fasted state (e,g, Warrior Diet – 20 hour fast, 4 hour fed). Some fast every day, some do ‘alternate day modified fasts’ and some even do the occasional ‘whole day fast’, there are many variations. Remember, its fasting WITHOUT malnutrition! You may be asking yourself, ‘why would anyone want to fast?’ Believe it or not there are a number of reasons. Decades ago fasting was used as a primary treatment option for obesity, however today you may find people fasting for religious reasons, non-obesity related fat loss, a hunger strike, and famine just to name a few . When one stops eating the body will begin to digest the contents found within the digestive tract followed by the remaining glycogen stores in the liver . If you were to venture on that 16-hour fasting journey, the fasted state truly doesn’t begin until around hour 12! In the fasted state, insulin levels are low since the glucose in the body has been utilized as fuel already and the body then switches to utilizing fat as its fuel . This is the major proponent of intermittent fasting; the body spends enough time fasting to truly get to a state where fat is utilized. Given the typical North American lifestyle, one could see how people have trouble getting to this phase. The benefits of intermittent fasting have been noted, but at the same time are still considered to be in the preliminary research phase. There appear to be many cardiovascular benefits such as: increased HDL (the good cholesterol), decreased LDL & triacylglycerol, and improvements in blood pressure, just to name a few. Similarly, it can improve insulin concentrations & sensitivity, which is important for controlling diabetes risk . It should be noted, many of the immediate benefits, specifically weight loss, have been seen in both intermittent fasting as well as the more traditional methods of calorie restriction . This is simply due to both of these methods having the ability to put an individual in a caloric deficit, allowing them to lose weight. But does intermittent fasting provide some benefit that regular caloric restriction doesn’t? With regards to the long-term beneficial effects of fasting, it seems to be difficult to conclude due to the lack of long-term human studies. On the one hand, The National Institute on Aging released, just last fall, a report highlighting that mice who increased their time between meals were healthier and lived longer than mice who ate more frequently . But let’s not jump to conclusions as this happened in mice, not humans; but the results are still interesting nonetheless. Given the hypotheses surrounding the mechanisms of intermittent fasting, one may think that the reduction in free radical production that comes with food restriction may result in less cellular oxidative damage. Oxidative stress comes on through many processes and eating is one of them. Some argue that the reduced oxidative damage may prevent telomere shortening and that’s the effect fasting has on aging. Does this have a link to longevity? Maybe but it may be too soon to conclude in humans . One last interesting piece regarding intermittent fasting and ones longevity is the beneficial effects of autophagy. Autophagy is a process our body uses to breakdown and recycle damaged cells. It is a protective mechanism in many areas of the body with some studies claiming that abrogation of autophagy, specifically in neurons can lead to disease . Although we know the body will resort to “eating itself” in the fasted state, there is still research needed to strengthen the ties between autophagy and the protective effects against certain systemic diseases. Intermittent fasting is not for everyone, as there are relative contraindications. If you have a poor diet, poor sleep habits, excessive stress, issues with fasting and your training times, or hormonal issues/other medical conditions (e.g. cancer), intermittent fasting may not be for you at the moment . Please contact a regulated health professional with regards to if intermittent fasting is right for you! This article is solely meant to be “food for thought” and in no way attempts to skew you to one side or the other. If you’re familiar with intermittent fasting hopefully you’ll find this article to be a good overview. If this is a new concept, I encourage you to delve further if you’re interested. For any other questions or comments, feel free to contact me directly! Johnstone, A. (2015). Fasting for weight loss: an effective strategy or latest dieting trend? International Journal of Obesity. 39, 727-733. Rose, Chip. (06 September, 2018). Longer daily fasting times improve health and longevity in mice. National Institute on Aging – U.S. Department of Health & Human Services. Himbert, Caroline, Thompson, Henry, Ulrich, Cornelia M. (2018). Effects of Intentional Weight Loss on Markers of Oxidative Stress , DNA Repair and Telomere Length –a Systematic Review. The European Journal of Obesity. 10(6): 648-665. Alirezaei, Mehrdad, Kemball, Christopher C., Flynn, Claudia T., Wood, Malcolm R., Whitton, J. Lindsay, Kiosses, William B. (2010). Short-term fasting induces profound neuronal autophagy. Autophagy. 6(6): 702-710. I’m the last person who truly makes New Years resolutions. But I am one of the ones who no matter the time of year, will try and implement things into my life or change things for the better. Same, same but different. Taking a look back to New Years resolutions, why do they always seem to fall to the wayside? People are usually enthusiastic about them at the end of December but often let them go in late January. So hopefully as you’re reading this, you’ll either be encouraged to continue with the work you’ve put in so far, or perhaps make a small but significant change for the better! But why do resolutions fail? Much like a number of other questions in life, it depends on so many factors. Some we can control and some we cannot. I’ll highlight a few reasons as to why these attempted changes may not make it to spring! To start, we can get so excited about our new goals that we make them UNREALISTIC. It’s one thing to say you want to get in better shape (a common but vague goal) but it’s another thing to say you want a six-pack by Valentines Day. I applaud the enthusiasm but we need to recognize that there’s “ideal” expectations and then there are “real” expectations. Often times we shoot for “ideal” and decide to call it quits before getting to the “real” expectations. Next is TIME. Simply put, we either do not give ourselves enough time or just don’t want to put the time in to do the necessary work. In today’s society we want things and we want them fast! Three hours each week on meal prepping? No thanks; I’ve got things to do. A month until I start to notice a real change in my waistline? Thanks but I’ll take the cake instead. The last reason I’ll mention is we OVERLOAD ourselves with these resolutions. It often starts with one change we want to make but then snowballs into adding a few others. This may work if we are dealing with resolutions that are related, for example “go to the gym 3x/week and pack healthy snacks with lunch”. Complementary goals, great! But what happens when we overload things? How about creating diet/exercise goals and wanting to read more each night, make more money, and travel more? Can we see how this second example may be a bit much? If you’re going to make a change at all, I applaud that. I hope you’ll walk away from this article knowing to make realistic changes, give yourself time, and start small and go from there! ​ Many times people from afar will see smoke billowing up from the trees in the distance. It doesn’t take a genius to know that there’s a strong probability that beneath that smoke, is a fire. If someone were to only clear the smoke, they’ll eventually realize that the problem still remains and that the smoke will return. What does any of this have to do with musculoskeletal health? Well often times when it comes to muscle and joint aches/pains the metaphor of the smoke and fire applies. Let’s take for example that a patient presents with right shoulder pain. The patient tells you that they have trouble lifting their arm and they keep pointing to the side of their shoulder (think middle deltoid) where they usually feel the pain (the smoke). After asking some questions to rule out any major conditions, you move onto the physical exam and find that there is no pain with actual palpation of the area where they feel the pain. You have just read a fantastic article about not looking for the smoke; rather you decide to look for the fire. This leads you to move away from where they feel the pain and check out a few muscles higher up and find that the source of their pain is coming from their supraspinatus – a muscle that often refers pain to the spot they’re complaining about. Great! You think you’ve found the source but you check a few other things and find the true source. They have trouble moving their shoulder blade on the same side that they feel the pain. This is causing the shoulder to have less room to move and is the true source of their pain (the fire!). You then work with them to control for their pain and improve their movement capabilities. Another classic example is someone presenting with pain on the inside of his or her knee. They say they haven’t injured it in any way but the pain has progressively come about more recently in the last few weeks. Your physical exam is pretty unremarkable with regards to their knee with the exception of some direct tenderness on the inside of their knee. No foot or ankle issues are found so you decide to check out the function of their hip. You find a key piece of the puzzle, as their gluteus medius is considerably weaker on the same side. They are surprised by this but you explain to them in your report of findings that the hip muscle in question has a large role in hip stabilization, particularly not allowing the lower limb to move too far inward (aka abduction). You then work with them to control for their pain and improve their movement capabilities. There’s a fantastic quote by Ida Rolf, “Where you think it is, it ain’t!” Hopefully these examples have shown that where the pain is most evident is not actually the true source of the pain. Do you have pain similar to these examples? Perhaps you’re looking for a second opinion! If I can help in any way, I’m just one click away! High Intensity Interval Training - aka HIIT! ​Time - it is the one thing that we all have the same amount of. Everyone gets 24 hours, 1440 minutes, 86400 seconds per day. It is also one of the most common barriers that people cite when asked what stops them from exercising (Sallis and Hovell, 1990; Sallis et al., 1992). This is consistent across all demographics worldwide . We all want to be as efficient as possible with our time, especially when it comes to fitness. For many of us the idea of going to the gym for a couple hours sounds time-consuming, boring and downright impossible to fit into our schedule. You are not alone in this line of thinking, in fact, people have been looking for ways to maximize the their workouts benefits while minimize their time for years. One of the techniques created for this purpose is high intensity interval training. High intensity interval training or HIIT is roughly defined as a short amount of near maximal effort exercise - followed by a moderate or low effort exercise recovery time - repeated for multiple bouts. High intensity interval training is found in exercise regimens like Tabata, Crossfit, Fartlek, and the Peter Coe Method among others. Since its inception in the 1970’s this exercise method has morphed many times but at its core follows the same principles of high-speed/high effort, followed by low to moderate speed/effort to recover. The science behind the method is that by working at your body’s maximal cardiovascular capacity you improve the metabolism of your muscles. This improves their efficiency at accepting oxygen from the bloodstream and clearing out various waste products that build up during exercise. These metabolic adaptations can then improve your ability to perform at lower thresholds (ie: a light jog). Think of it like working out any other muscle group in the body - if you’ve worked up to squatting 200 lbs - then moving 20lbs should be a piece of cake. Except instead of massive thighs you end up with a totally ripped cardiovascular system (not as easy to appreciate in the mirror, but impressive nonetheless). The difference between conventional weight training and HIIT is that the cardiovascular system adapts much quicker to stimulus then skeletal muscle. This means that positive changes from HIIT training can show up in as little as 2 weeks of regular high-intensity interval training while changes in muscle size won’t show up until 6 weeks of conventional weight training. A 2015 meta-analysis (that is a study that combines multiple studies to create a summary of the research) found that persons aged 18-45 cardiovascular fitness and cycling endurance increased with both low intensity steady training and high-intensity interval training. The major difference between the two was that the VO2 Max scores were higher in the HIIT groups. Without getting too technical, your VO2 max is an indicator of how well your body can take in oxygen and remove waste products from your muscles during cardiovascular exercise (Ramos et al. 2015). Numerous studies have documented adaptations similar to that of endurance training including increased resting glycogen content (how much energy is being stored in your muscles), reduced rate of glycogen utilization and lactate production (improved muscle efficiency), increased muscle lipid oxidation (fat burning), improved vascularization (bloodflow) to extremities, improved insulin sensitivity (important for prevention of type 2 diabetes), as well as subjects’ improved exercise performance. (Burgomaster et al. 2005, 2008; Gibala et al. 2006; Rakobowchuk et al. 2008). Other research has also indicated that patient enjoyment and involvement is increased in comparison to moderate intensity or low intensity exercise (Bartlett et al. 2011). Which makes sense when we consider it takes less time, requires more focus and requires us to truly work hard. So I know the question on the tip of your tongue… how little can I get away with? Well, to improve cardiovascular fitness, insulin sensitivity, and exercise capacity most research had individuals performing 2-3 sessions a week with 4-6 sprints lasting 30 seconds at 90-100% of the persons maximal capacity, interspersed with 4 minutes of low-to-moderate (~60%) cycling. For a total of 14 minutes per session or 28 minutes per week. But this type of training doesn’t just have to be sprints or cycling - there are many ways to incorporate this into your training sessions and or core workouts - such as sled pulls/pushes, kettlebell swings, press-ups, jump squats, body weight squats, rowing ergometers, speed walking, skipping, assault bikes etc. Anything that gets you breathing hard and can be sustained for ~30 seconds at a maximal effort. As always if you are unsure, injured or just want more information before beginning your own high-intensity training, get connected with your local professional and go from there. Ramos, J. S., Dalleck, L. C., Tjonna, A. E., Beetham, K. S., & Coombes, J. S. (2015). The impact of high-intensity interval training versus moderate-intensity continuous training on vascular function: a systematic review and meta-analysis. Sports Medicine, 45(5), 679-692. Bartlett JD, Close GL, MacLaren DP, Gregson W, Drust B & Morton JP (2011). High‐intensity interval running is perceived to be more enjoyable than moderate‐intensity continuous exercise: implications for exercise adherence. J Sports Sci 29, 547–553. Egan B, Carson BP, Garcia‐Roves PM, Chibalin AV, Sarsfield FM, Barron N, McCaffrey N, Moyna NM, Zierath JR & O’Gorman DJ (2010). Exercise intensity‐dependent regulation of PGC‐1α mRNA abundance is associated with differential activation of upstream signalling kinases in human skeletal muscle. J Physiol 588, 1779–1790. Gibala MJ & McGee SL (2008). Metabolic adaptations to short‐term high‐intensity interval training: a little pain for a lot of gain? Exerc Sport Sci Rev 36, 58–63. Gibala MJ, Little JP, van Essen M, Wilkin GP, Burgomaster KA, Safdar A, Raha S & Tarnopolsky MA (2006). Short‐term sprint interval versus traditional endurance training: similar initial adaptations in human skeletal muscle and exercise performance. J Physiol 575, 901–911. ​As a chiropractor, I’ve seen people recover from many injuries. It doesn’t matter if the issue is acute or chronic, if it’s their back or their foot; I’ve seen not only improvements in symptomatology but more importantly resolution of pain & restoration of function. What baffles me is that with results like these why aren’t more people utilizing chiropractic care as the utilization rate in Ontario continues to hover around 10% with the nations utilization rate being only slightly higher. Here are some of the top reasons I’ve found that people aren’t seeing a chiropractor for their musculoskeletal (MSK) aches & pains (note: these are not ranked in any particular order). The first reason surrounds the UNAWARNESS from the general public. Let me explicitly highlight that it’s not their (the publics) fault. It cannot be expected that the average person is reading the newest research that is, believe it or not, strengthening the evidence of chiropractic care for certain MSK issues. Let me ask you this, do most people know that chiropractors treat more than just necks & backs? Do people know that chiropractors utilize many tools (e.g. acupuncture, soft tissue therapy, laser…etc. ), more than only adjusting? Do people know that there are chiropractors out there (like myself) who spend more than 3-5 minutes with a patient? Patients don’t know, what they don’t know. For some they’ve only been exposed to “other” chiropractors who may practice differently, leaving the patient wanting more. The unfortunate thing is when patients paint all chiropractors with the same brush; we’re not all the same (both a ‘pro’ & a ‘con’ for the profession). My recommendation is for patients to ask questions! Make sure they’re comfortable with the treatment they’re going to receive. Another reason is the COST. For a little over a decade chiropractic care has been delisted from OHIP covered services. Simply put, going to a chiropractor in Ontario is not like going to your medical doctor and “swiping” your OHIP card to cover the cost of the visit. People now have to find another means of paying. For the fortunate, they have extended health coverage through their employer (however even this is becoming less common) but there are a percentage of people without benefits who are left to pay out of pocket. But let me ask you a question, what is your health worth to you? What is more important, spending money on your health or spending money on “wants” like the newest toys, cigarettes, and fast food? Addressing the issue (that being pain & dysfunction) in it’s infancy (i.e. the acute stage) will be more cost effective in the long run compared to not getting treatment and having aches & pains linger until the issues are chronic or lead to other health effects. I’d recommend prioritizing what is most important to you but I caution you to put anything before your health. Lastly, I cite APPREHENSION as a reason you’re not seeing a chiropractor for your MSK complaints. In a 2017 article in the Canadian Chiropractor, Mari-Len De Guzman cites from a 2017 Canadian Chiropractic Survey that there still seems to be a “low trust-level from the public or medical community” towards chiropractors. Why is this? Is it because there is a fear of being adjusted, fear of having to “go forever”, and/or fear of lack of value (i.e. very short appointments). I see this with new patients, particularly from physician referrals as the patient is seeing me because their medical doctor advised them to. I don’t blame the patient though; rather I take it as an opportunity to educate them on what I call ‘The New Age of Chiropractic Care’. Gone should be the days of the “revolving-door” system of chiropractors seeing patients & the cookie cutter approaches for care. I’d recommend finding a chiropractor who comes highly recommended. One who will sit down with you & answer all of your questions until you are satisfied. In a world where research & technology is advancing at an exponential rate, how come our society isn’t healthier? Our health is the key to independence. And to stay independent you must feel & move well. If you are in (or near) the Niagara Region, I would love the opportunity to speak with you further about how we can work together to get you feeling your best & how my approach is different than the rest! What’s More Important? Mobility or Strength? ​Who’s better? Michael Jordan or Lebron James? Which came first? The chicken or the egg? Who was more influential? Biggie or Tupac? So many great debatable questions but one debate that may exist between strongmen & yogis is, which is more important? Mobility or strength? As you read this, you may already have your mind made up based on your personal preferences but let’s not forget that the answer may vary depending on a person’s needs and/or age. Lets take a deeper look, shall we? What does mobility really mean? By definition mobility is the amount of 'active range' a person has when looking at a specific joint. This differs from flexibility, which is the 'passive (assisted) range' a person has. Mobility is a key piece to evaluate when it comes to movement, whether it’s in a gym setting or even just around the house. What makes mobility so important is that it is often the limiting factor when it comes to any movement. For example, someone can be super strong but if they want to perform a squat but only have 90 degrees of active hip flexion (mobility) but at the bottom of their squat the weight helps them get to 100 or 110 degrees of hip flexion, is that safe? Can they control themselves at the bottom of that squat? Isn’t mobility more important than strength here? Now one thing that is outside of a gym setting that shows the importance of mobility is the relationship that mobility has on our independence as we age. Seniors, assuming adequate visual and mental states, will require their mobility to be sufficient to be ambulatory as the years go on. Is it realistic for someone in their late 70’s to all of a sudden start working on their mobility and then feel young again? Probably not! What is more likely to happen is that each year their mobility will be less and less than the year before. If you don’t care about a gym setting, the relationship between mobility & age-related independence and it’s effect on quality of life should be enough to highlight its importance. But can someone really move if they don’t have the strength to do so? Isn’t strength more important? Some people spend a lot of time in the gym setting with specific training schedules aimed at improving their strength & hitting new personal records (PR) over time. Strength work can be a little more fun than mobility work. I mean its tough to get a PR for your mobility work. But once again, not everyone has the drive for strength in a gym setting. The more muscle mass you accumulate throughout the early stages of life the better you are at having muscle left when you’re in your 80s. The loss of muscle mass is known as sarcopenia & it will affect everyone over time. Strength training can help us build a nice reserve but more importantly help maintain & improve muscle mass as we age (as well as aid in bone mineral density). Having strength as we age also contributes to independence in the later years of life. Are someone’s legs strong enough to get the off the couch or off the toilet at 78? Are someone’s arms strong enough to push a vacuum? If Olympic lifting is not your thing, weight training for future independence should be enough motivation to put down the remote & pickup a dumbbell. So which is more important? Mobility or strength? Perhaps you’ve made up your mind. Maybe you’re thoughts have changed since reading this article. As it was alluded to earlier, the answer may vary from person to person depending on their age & needs. But regardless, everyone’s independence becomes more and more valuable as we age; and mobility & strength are both closely linked with long-term independence. Can you really have one without the other? As the spring weather is soon upon us, we will start to dust off of our bikes and baseball gloves. After such a long and blistery winter, there will be great desire to get outside and get moving! Much like a machine that needs a tune-up after sitting for a while, our bodies are very similar. We can’t expect to jump back into running or playing softball if we spent the majority of the winter months cooped up inside. We may think we are still in last season’s “playing form” but there are changes in our strength and conditioning that we may not be aware of. Let’s take the example of someone in their early 30’s who is gearing up for yet another rec soccer season. In their mind, they may still think they are in their 20s and can play well without the proper due diligence of training & warming up. However, taking into account their lack of strength & conditioning in the off-season, they are perhaps at an increased risk for an injury. A hamstring strain, a sprained ankle, or even one of the common knee injuries may be sustained causing the individual to miss time from activity and address the issue. This is a simple, yet classic example but scenarios such as this exist in all sports. Even more interesting is how injuries can happen during spring-cleaning as well. Yard work, garage cleaning, and gardening may put demands on your body that you’re just not ready for at this point in the year. Lifting soil or trays of flowers can cause discomfort regardless if it’s a one-time thing or a repetitive movement. Proper treatment aimed at common musculoskeletal issues is always beneficial if something may arise, but why wait until something happens? Some work prior to activity targeting the muscles and joints is key! Whether it’s a soft tissue treatment, an acupuncture session, or mobility work, there are many options to get your body performing its best! Don’t wait until it’s too late! Lets work together today to get you moving and feeling your best today! Call or Book Today! Psych-atica!...Why your “Sciatica” may be fooling you! Sciatica is a condition that has been around since ancient times . Anywhere from 2-40% of people will experience sciatica at some point in their lives, depending on how sciatica is defined . How do we define sciatica? Does the pain have to be down the whole back of the leg to the foot? What is the pain goes halfway down the back of the leg? How about just into the buttock? That’s the biggest point of this blog, the fact that sciatica is given to any pain down the back of the leg. But is it possible to have posterior leg pain and not have sciatica? Sciatica is commonly characterized by pain down the back of the leg, particularly due to irritation of the sciatic nerve. The issue with this is that there are a number of conditions that can send pain to the back of the leg. In order to understand this we must review some basic anatomy. The sciatic nerve originates from the lumbar and sacral plexuses (network of nerves in the low back) to form the sciatic nerve proper deep within the gluteal muscles at the piriformis muscle . It travels down the back of the leg and then divides further behind the knee (popliteal fossa) into two subsequent nerves (tibial nerve & common peroneal nerve) which then go on to supply the lower leg and split again . Not accounting for any anatomical anomalies (such as the sciatic nerve piercing through the piriformis muscle) this is the general make up in all humans. We can see from this brief description how far the sciatic nerve courses from the low back to the lower leg & how many structures it engages with. This leads us into the long list of potential causes for sciatic-like symptoms. Starting within the low back, a patient can experience Lumbar Facet Syndrome/Irritation, in which the affected facet joint becomes irritated and can send pain into the lower back & buttocks. Speaking of joint referral (which is a form of sclerotogenous pain referral) the sacroiliac joint can also become irritated from a variety of sources and refer pain into the buttocks and posterior thigh as well. Circling back to the low back, any space-occupying lesion such as a disc herniation or tumor could be a source of sciatic-like symptoms as well. Their presence will disrupt the space surrounding the nerves & cause irritation. Similarly, nerve roots in the low back can become irritated, without the presence of a space-occupying lesion, in the case of lumbar radiculopathies and generate similar pain presentation into the buttock and posterior thigh. A more prevalent condition that can cause pain down the legs in older individuals is Lumbar Stenosis. This is where the spinal canal decreases in size and contributes to neurogenic claudication (which is obviously different from vascular claudication) highlighted by pain down the back of the legs. Moving away from the low back & osseous pelvic structures, we find ourselves deep within the pelvic musculature at the piriformis muscle. This muscle lies in close proximity to the sciatic nerve and in a very small percentage of cases the nerve actually passes through this muscle. A somewhat controversial, yet often talked about diagnosis is ‘Piriformis Syndrome’ where irritation of the piriformis muscle causes irritation of the nearby sciatic nerve. However, given this line of thinking, the sciatic nerve could be irritated by the close proximity of any irritated muscles, namely the hamstrings, posterior gluteus minimus, gluteus medius, gluteus maximus, and even muscles of the pelvic floor . When some of these muscles surrounding the hip are involved, hip issue/pain can be ignored if the practitioner solely focuses at the sciatic like symptoms. As an interesting aside, the term “side-atica” is a presentation where pain is generated down the outside of the leg particularly by the gluteus minimus muscle, specifically the anterior fibers, according to Travell & Simons. Although this muscle garners most of the attention, there are a number of other lateral hip muscles that can cause this presentation as well. Some may say this discussion is splitting hairs but others may disagree and say that it is imperative to have a tissue-specific diagnosis. How frustrating would it be to treat locally at the site of pain (i.e. the posterior thigh) only when the real issue may be at a different site, the low back as an example. Specific diagnoses lead to specific treatments and specific outcomes! Now how does one treat the issue of sciatic-like pain? Well like many answers nowadays, it depends! There are many factors to take into consideration. What does the research suggest? What are the patient’s preferences? What does clinical experience point to? Is a referral or further imaging necessary? There are many questions and sometimes it’s not a black & white answer. What’s important is finding a practitioner who understands these things and will work with you to get you moving and feeling your best! Ropper, AH; Zafonte, RD (26 March 2015). "Sciatica". The New England Journal of Medicine. 372 (13): 1240–8. doi:10.1056/NEJMra1410151. PMID 25806916. Valat, JP; Genevay, S; Marty, M; Rozenberg, S; Koes, B (April 2010). "Sciatica". Best practice & research. Clinical rheumatology. 24 (2): 241– 52. doi:10.1016/j.berh.2009.11.005. PMID 20227645. Drake, Richard L.; Vogl, Wayne; Tibbitts, Adam W.M. Mitchell; illustrations by Richard; Richardson, Paul (2005). Gray's anatomy for students. Philadelphia: Elsevier/Churchill Livingstone. ISBN 978-0-8089-2306-0.